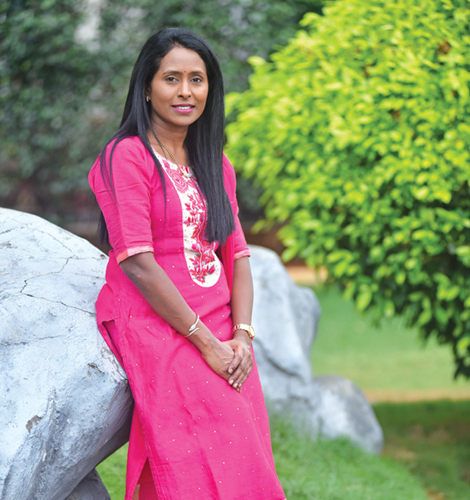 Having pursued her post-graduation in internal medicine from Manipal Academy of Higher Education and studied further and worked in the UK for around 13 years, Dr Padmaja Lokireddy is clearly a people’s doctor. It’s because her priority is always her patients and their well-being. Ask her why she returned to India despite a career in smooth waters, she says it’s her “intention to bring back knowledge and skill, and the happiness of treating our own people” that prompted her to make this decision. While she falls back on the steady support provided by her family, her husband Dr Vishnu (Pediatric Intensivist) in particular, she speaks to us about how she strikes a balance between both her personal and professional lives. Tell us about your journey in the medical field. What inspired you at the outset? We relocated to the UK after my post-graduation and worked there for 13 years. During this time, I completed my MRCP and FRCP, worked as a hematology consultant and bone marrow transplant specialist. My dad is a general surgeon who gave me the direction to join medicine. After moving to the UK, I developed a passion for hematology and the practice of evidence-based medicine. As I deal with cancer patients, it is heartbreaking to reveal to them and their families that the disease is progressing, and that they have limited time left. As a family, we are up by 6 am. I take my children (son in 10th grade and daughter in Seventh grade at Oakridge International School) to their morning activities (horse riding/tennis) and drop them at school. My work starts at 9 am, with a review of transplant patients and ward rounds followed by clinic appointments. Bone marrow tests, chemotherapy scripts, and family counselling are my additional work. Usually, my work’s done by 6 pm. Technology is taking over many things in the medical field. It is an easy medium to educate patients about their disease, but it can be dangerous if appropriate information is not attained. We are using digital prescriptions now, which helps in good record-keeping. How has the field changed since you first began working? The medical field, especially oncology, is changing rapidly with new advances in treatment modalities like immunotherapy and cell therapy, rather than the age-old chemo and radiation therapies. The way we approach patients is changing; openness and involving patients in decision-making is the new, personalised treatment option these days. Do you also give emotional counselling during your consultations? Yes, it is part of our daily rounds. It takes as much time as explaining the medical treatment, but is necessary for making patients feel at ease. Their reactions are appropriate to the given time. Counselling is given to both patients and their families. I travel a lot for medical education seminars, both nationally and internationally. I also update myself through this. We occasionally club family holidays so we can have some time away from work. But evening time, after work, I cook and spend time with the children, especially to guide them in their homework. Spending quality and quantity time with family. Watching Telugu comedy scenes is a joyful time for our family. Brahmanandam garu (comedian) is our all-time favourite! One should enjoy working and work with passion, not like it’s just another job.